Blooming syringa (Philadelphus lewisii); photo by Brent Miller on Flickr (nonprofit use permitted with attribution / no derivative works). 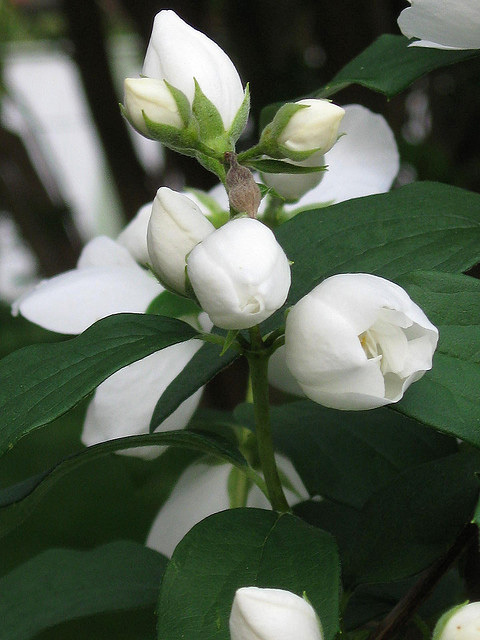 Syringa (Philadelphus lewisii) is a woody shrub with clusters of white, fragrant flowers (sometimes called mock orange) that grows up to 10 feet tall. The species name (lewisii) honors Meriwether Lewis (of the Lewis & Clark expedition), who wrote about the plant in his journal. This species is found only in the western states of Montana, Wyoming, Washington, and California (however, similar flowers are found under different names throughout the northern hemisphere). Native Americans found many uses for syringa; the wood was used to make pipe stems, harpoon shafts, bows, arrows, root digging sticks, and snowshoes. The bark and leaves of syringa were used to make a soap. 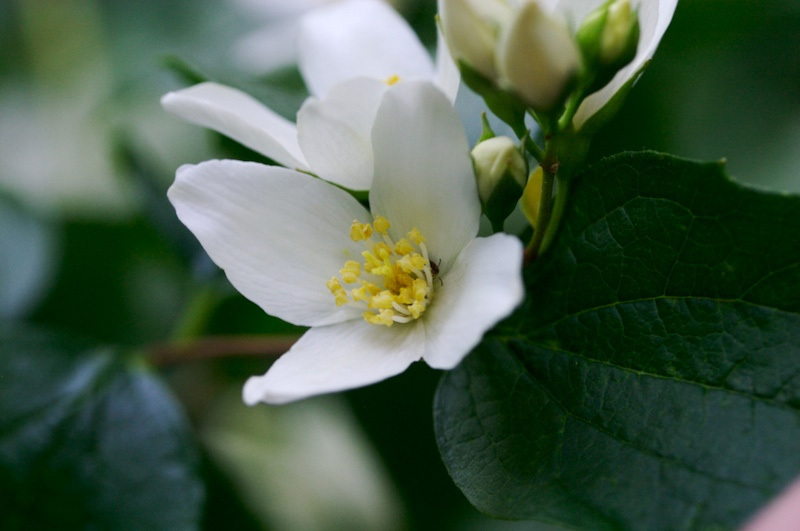 Mock orange blossoms (syringa); photo by Curtin1 on Flickr (noncommercial use permitted with attribution / share alike).